Westworld Clue Log: What Did We Learn in Season 2, Episode 3: Virtu e Fortuna? We’re only three episodes into the new season of Westworld, and already the mysteries are starting to pile up. Westworld Clue Log: What Did We Learn in Season 2, Episode 2: Reunion? This week’s episode, “Reunion,” raised a lot of big questions, but also filled in some very important gaps on the timeline. Westworld Clue Log: What Did We Learn in Season 2, Episode 1: Journey Into Night? Westworld returned last night, and it should come as no surprise that it was once again all about big questions and tantalizing mysteries. In Adventure Time‘s “Daddy-Daughter Card Wars,” Jake enters one final tournament of Card Wars to bury the regrets and baggage of his 20s, with some help from his occult-minded daughter, Charlie. It’s the eponymous time again. On the latest episode of Adventure Time, “Five Short Tables,” Ice King’s ‘Fionna and Cake’ fanfictions get jumbled together in an experimental anthology episode. It’s the eponymous time again! On the latest Adventure Time episode, “Elemental,” an ice elemental named Patience St. Pim awakens and reveals her shared destiny with Princess Bubblegum, Flame Princess, and Slime Princess. It’s the eponymous time again! 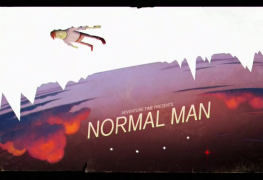 On the latest episode of Adventure Time, “I Am A Sword,” Finn finds out what it means to lose himself, when he loses the Finn Sword to Bandit Princess and has to reclaim it. It’s the eponymous time again! 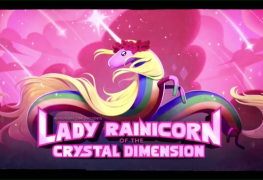 On the latest Adventure Time, “Lady Rainicorn of the Crystal Dimension,” Lady Rainicorn ventures back into the Crystal Dimension to rescue TV, after he’s kidnapped by a figure from her past. It’s the eponymous time again! On the latest Adventure Time episode, “Beyond the Grotto,” Finn and Jake pursue their pet sea lard into the pond, through a hidden grotto, and into a place that is at once familiar yet terrifyingly alien. It’s the eponymous time again!